The two pieces that make up this programme, composed a hundred years apart, are closely related to the musical life at Notre Dame Cathedral. 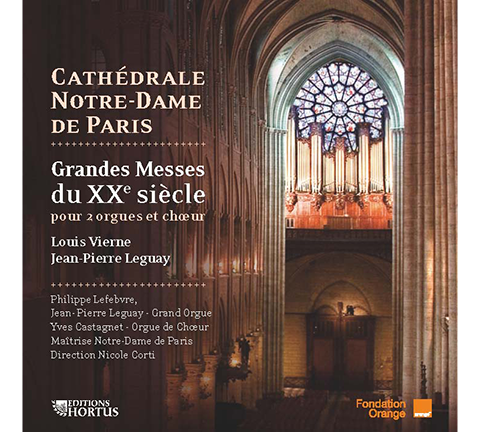 Louis Vierne’s Messe solennelle was premiered in 1900, exactly a hundred years before Jean-Pierre Leguay’s Missa Deo Gratias, which was commissioned by the Maîtrise Musique sacrée à Notre Dame de Paris. The Messe solennelle became one of Notre Dame cathedral’s staple repertory pieces... as it were, its musical visiting card.